A Love Letter To You 3 features Tory Lanez, Juice WRLD, NBA Youngboy, Kodie Shane, and more. The album's first single "Topanga" was a melodic hit, and the rest of the album features the much of the same euphoric vibe. A Love Letter To You 3 finds Redd in an expansive place creatively. Learning from the mistakes of his past, Redd exudes a new sense of confidence as he maneuvers through his latest project. 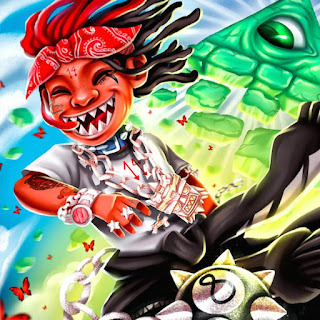 Maturity is welcome, and A Love Letter To You 3 illustrates the perfect evolution of Trippie.